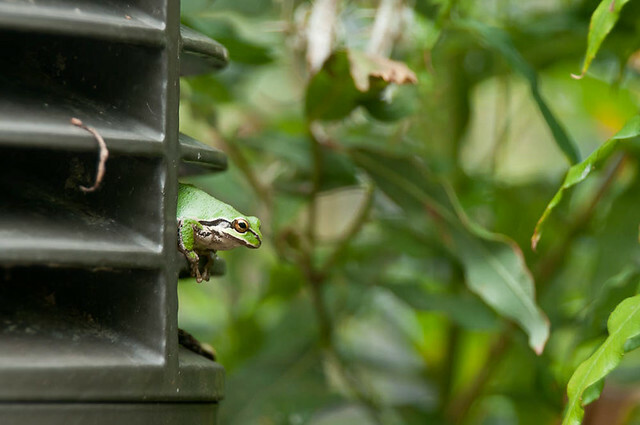 When we went to the Nisqually Wildlife Refuge a couple weeks ago, we saw a couple Pacific Tree Frogs. They are very tiny. And they can be green (or many other colors). And they are here! This was the larger of the two. And this was the smaller. But they were both smaller than 2". Teeny! Awww. 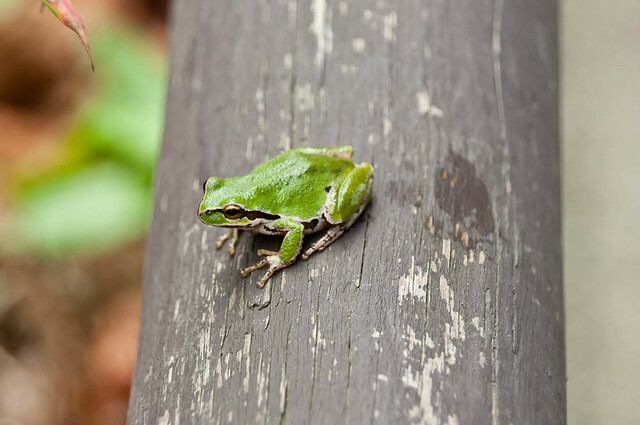 Glenn and I are charmed with the way the line to and through the frog's eye makes the frog look thoughtful and reflective, a tiny sage of the woods. Yes, they are wise beyond their weeks. We have them at the ranch. I saw a frog in the greenhouse the other day. It was variegated brown and beige to blend in better with the wood. Then it moved to a tray of seedlings and turned green. It sounded like a tree frog. They can change colors. I guess not to gray, which is why they stood out against the light fixture and railing. I'd love to reintroduce them to North Beach Park, but it might be a while before I can do that.